Money matters? 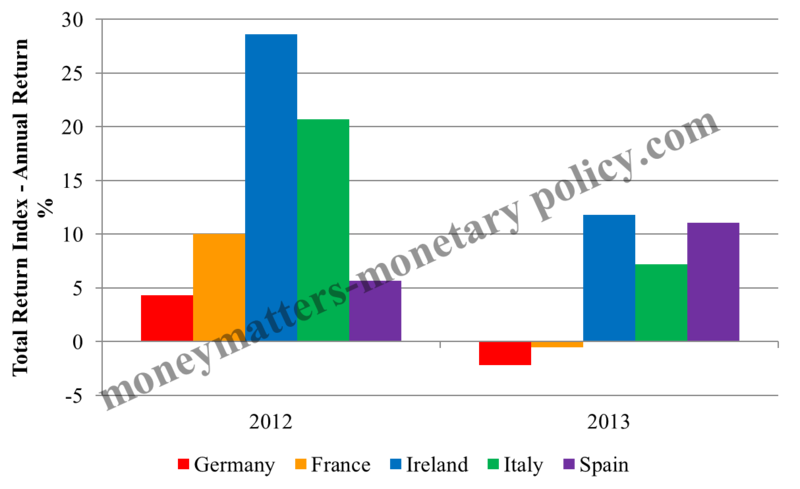 Perspectives on Monetary Policy: Trust in Europe paid handsomely! One rule not to be followed to make money is to invest systematically in assets that have had a good performance in the past: as it is written in "health warnings" in investment products "past performance is no indication of future performance". This obviously does not mean, however, that there are no cases of sustained out-performance: in some cases, some assets maintain a superior performance for a prolonged period of time. I do not wish to enter here into a discussion of whether the financial market shows "weak market efficiency", whereby no rule based on past prices can deliver extra profits. I just want to carry out a brief ex-post analysis of return-performance of peripheral sovereign €-area bonds to see whether it tells, jointly with developments in economic fundamentals and institutional innovations, a consistent story.